For all the literary-loving photohogs out there, now's your chance to give that virtual library of yours an almighty boost. 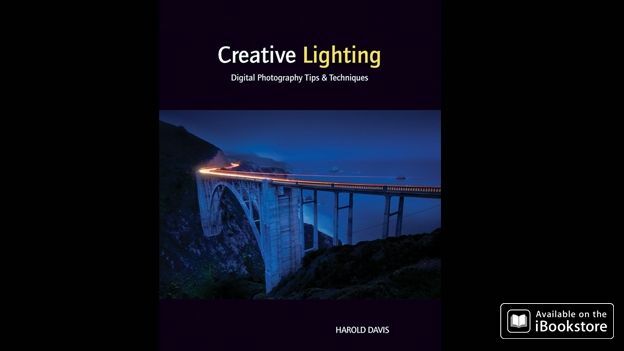 This weekend, the iBookstore is giving away free copies of renowned photographer Harold Davis' Creative Lighting, which is filled with handy tips and tricks on how to make the most out of digital photography lighting. The ebook, which usually costs £12.99, is available for download as of today via the iBookstore for iPod Touch, iPad and iPhone owners. But that's not all. The iBookstore has also knocked off a tenner from five other titles in Davis' literary collection, including Creative Black and White and Creative Close-ups, so now you can master the art of photography without doing too much damage to your wallet. But hurry: the offer is only available until Sunday. How to make digital photography lighting more creative—and less challenging! How do you master the art of lighting your photographs? Go beyond the basics, go beyond the "rules," and get creative with the help of renowned photographer Harold Davis. In this book, Harold shows you how to break the boundaries of conventional wisdom and create unique, lively, and beautifully lit photographs. Packed with tips and tricks as well as stunning examples of the author's creativity, this book will both inform and inspire you to create your own lighting style. Shooting in low light and at night is challenging, but it can result in stunning images, so don't put that digital camera away after the sun goes down! Start capturing eerie and intriguing photographs at all levels of light with this information-packed guide from renowned photographer and author Harold Davis. He provides pages of field-tested techniques to help you find the proper exposures, including the best settings for ISO, aperture, and shutter. Don't miss the intriguing examples of his own work, including cityscapes, landscapes, and more. Black-and-white photography poses unique challenges; without color to guide the eye, contrast, lighting, and composition take on even more importance. Renowned photographer Harold Davis explains these elements and demonstrates the basic rules of black and white photography as well as when and how to break them. He breaks through the complexity of this photographic medium, explores opportunities for black-and-white imagery, and shows how to capitalize on every one. The art of macro photography-photographing small objects or super close-ups of small sections of big objects-yields fascinating results, but shooting at this level brings its own set of challenges. Now you can shoot close-ups with confidence and creative flair with this information-packed guide. Sometimes you get the best results by breaking the rules, but first you have to know what the rules are! In this indispensable photography guide, renowned photographer Harold Davis first walks you through the recommended guidelines for composing great shots with your DSLR camera-and then shows you how to break free, build your own unique style, and compose beautiful images with confidence. Landscape photography inspires millions of photographers. If you're one of them, you'll find new insight into landscape photography in this book by professional photographer Harold Davis, as well as tips, tricks, and technical advice to help you improve the quality of your photos. You'll learn to use lighting and composition creatively, choose and use appropriate equipment, look at your subject matter in a new way, and even when to break the rules in order to capture the best image of all. Illustrated with the author's own spectacular landscape photos.